Hardwood & Stainless Pocket Knife Only $6.99 Plus FREE Shipping! You are here: Home / Great Deals / Hardwood & Stainless Pocket Knife Only $6.99 Plus FREE Shipping! 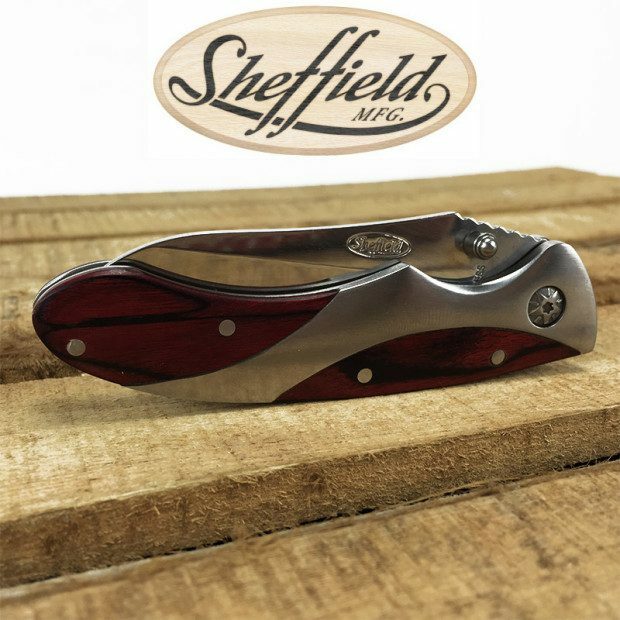 The Sheffield Montrose Folding Pocket Knife for Only $6.99 Plus FREE Shipping is a great handy small knife to carry with you while going camping, hunting, fishing or any other outdoor activities!